After snapping a few shots outside Amsterdam Schiphol Airport, I immediately jumped on this red coach and started my trip in Europe. 10 days 7 nights Europe escaped, we traveled all the way from Amsterdam to Paris by this coach. Based on the information provided by tour leader, the coach driver, Peter is a Hungarian. Didn’t take photo for Peter, if not I can post for sharing. We were wandering around in Amsterdam for three days. After that we left Amsterdam and headed to Belgium on the fourth day. On the way to Brussels, we stopped in Bruges for lunch. Stayed one night in Belgium, the next morning we went to Paris. The journey through Netherland, Belgium and France was pretty long fortunately Peter is a skillful and responsible driver. The coach drivers in Europe observe traffic rules and regulations strictly. They are hardly work overtime and reckless driving otherwise have to face severe punishment. 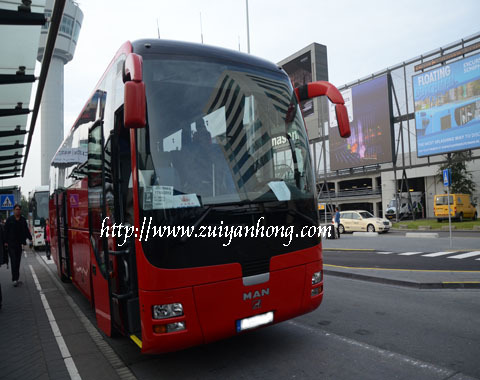 Accidents involving express buses often occur in Malaysia. Is this because of Malaysia Boleh?